Huntsville Law Firm concentrating in Family Law. Bill G. Hall, P.C. is a firm dedicated to the practice of family law, from standard cases to complex property and financial matters and custody disputes. 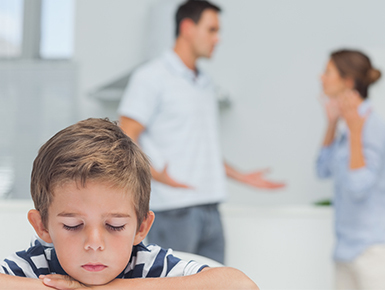 Our attorneys have legal experience in many family law practice areas including divorce, legal separation, child custody and visitation, complex property and asset divisions, international cases, and non-traditional family issues. We help individuals and families in North Alabama create resolution by putting an end to conflict and crisis. Our success is based on our honest, hard-working representation, and fluid communication with clients. We give our clients time, care, and patience as we realize this is your life, not just a case. With our firm you get the reward of having a caring advocate that knows how to serve you in both settlement discussions and in court. We work together with our clients and other professionals to develop a strategy. This process starts before ever filing a petition with the court and carries through until all issues are resolved. No matter how simple your case may seem, we will listen, advise, and strategize so as to achieve you the best possible outcome. When you are represented by Bill G. Hall, P.C., you have an attorney who will empower you to face life’s legal challenges, provide you with insight and thorough legal counsel, and, most importantly, support. Check out our practice areas for more information to help you understand and prepare for some of the common issues you’ll encounter in a family law matter. Please be advised that legal issues can be very complex. Nothing on this website should be taken as legal advice. Further, this information is not intended to create, nor does it create, the formation of an attorney-client relationship. We invite you to contact our firm to schedule a consultation appointment with an attorney who will help you understand your rights and responsibilities based on the unique facts and circumstances of your case. For your convenience, we offer consultation appointments in our office or by teleconference. Contact Bill G. Hall, P.C. to schedule your consultation appointment.